Tears were shed when word came in October that Vine is shutting down, but there's good news: Vine will live on - sort of. The Vine app is being transformed into a pared-down camera app come January - the Vine Camera app, to be exact. While it will no longer be a service for hosting new six-second videos, the new app will let you create looping clips of that length. You can save videos to your phone or share them directly on Twitter (Twitter bought Vine in 2012). While it would seem you could share Vine Camera clips onto any platform once they're saved on your phone, we've asked Twitter just to be sure. Vine is also making it easier for your Vine followers to tag along on Twitter with the help of a "Follow on Twitter" alert. This will start popping up on Vine in the coming days. Lastly, Vine is giving users the ability to download their Vines from the current app and website, putting what we're sure are utter masterpieces in your possession while also preserving them on Vine's site. 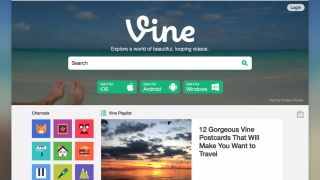 Though the Vine community is still suffering the loss of the service as it exists, this seems like as user-friendly a solution as could have been concocted. Users will still have what's basically the core feature of Vine, plus get a new camera app to fiddle around with.